What a windy morning! But no surprise: in Sydney, August always seems to have its share of such conditions. 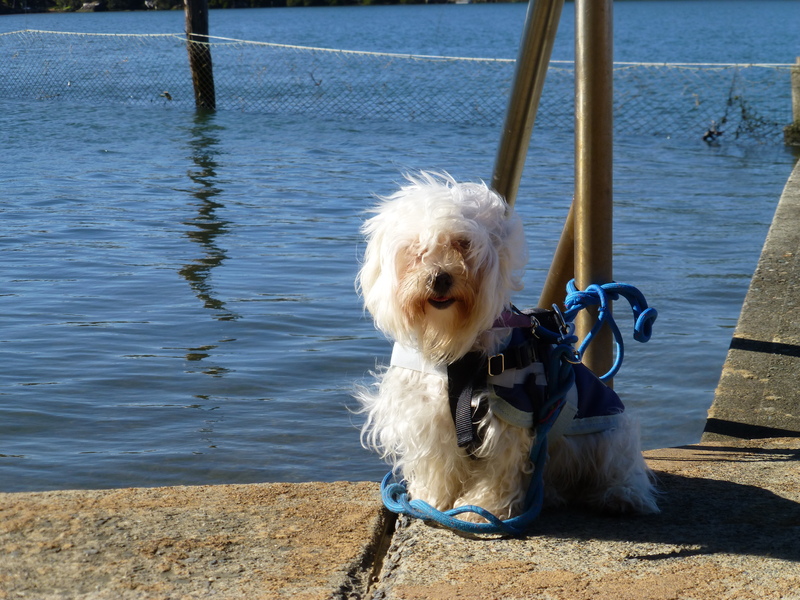 Along with a handful of others, Chicki and I braved the breezes to have a stroll along the promenade by the river. A couple of wild ducks huddled on the pontoon; nearly invisible due to their tight compression. Fewer birds than usual made an appearance. Only a flock of wild cockatoos squawked and glided high. Nevertheless, for me at least, it became an enjoyable experience.